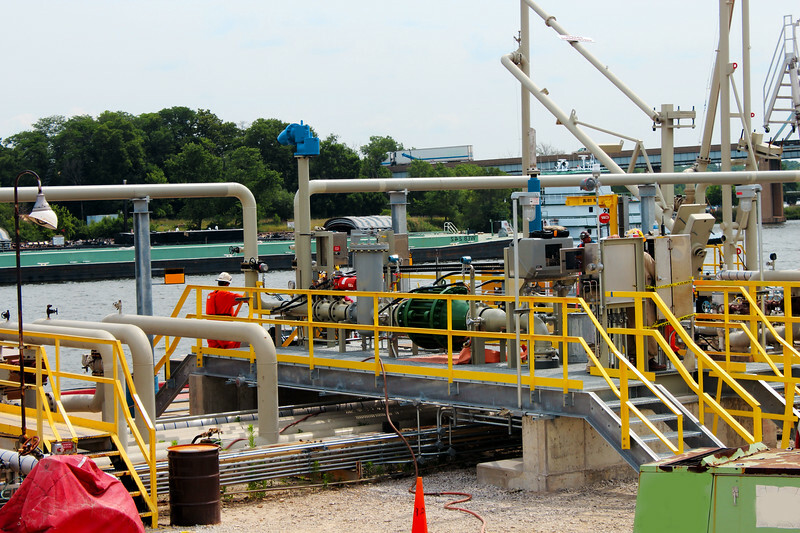 The Brindley Engineering team was tasked with the detailed design of a temporary piping discharge system for a Midwest refinery preparing for an upcoming shutdown with the goal of allowing continued operation of a large bore pump piping circuit while capital improvements were being made leading up to a Unit shutdown. Brindley’s strategy utilized a creative concurrent piping configuration which minimized field interferences with the new piping, while optimizing the installation of the temporary facility. Brindley engineers played a consultative role during the installation of the temporary facilities to ensure conformity with the installation strategy for the long-term facilities. The Brindley team knew there was no tolerance for system disruption. We were tasked with designing the temporary system, but also with optimizing the design to support the future contractor’s ultimate installation of the new capital facility. The result of this creative maintenance solution was minimal system down-time during the execution of potentially disruptive construction activities. The Brindley team minimized the typical challenges encountered when numerous interfaces are present in a multi-phase construction effort.